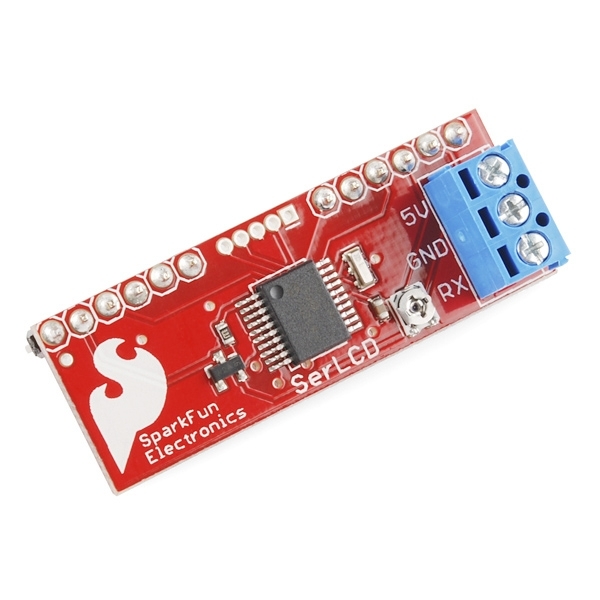 The serial enabled LCD backpack allows you to control a parallel based LCD over a single-wire serial interface. 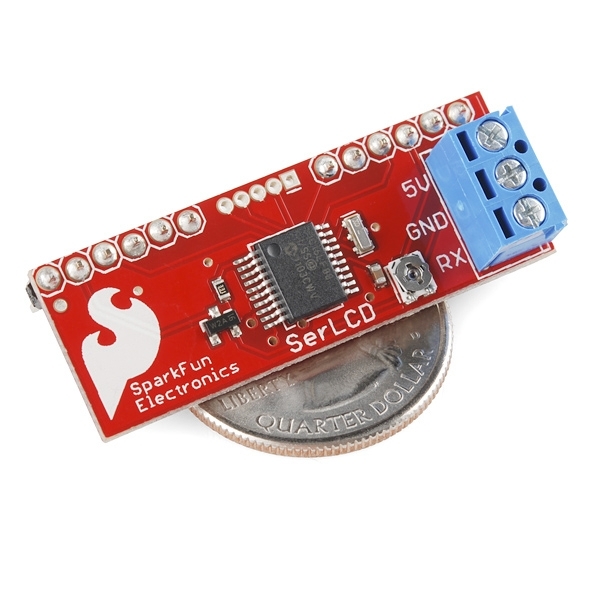 The SerLCD backpack takes care of all the HD44780 commands allowing seamless integration with any micro that can communicate over a wide range of TTL serial baud rates. The SerLCD currently supports 16 and 20 character wide screens with 2 or 4 lines of display. 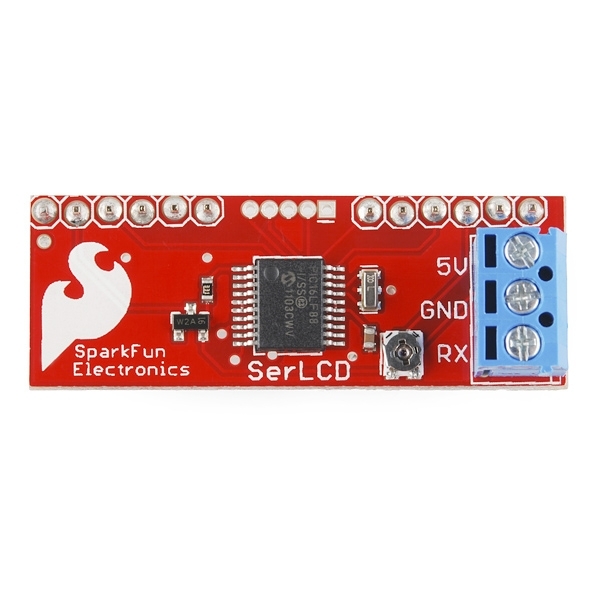 Communication with SerLCD requires 5V TTL serial at a default baud rate of 9600bps (8-N-1). You can adjust the baud to any standard rate between 2400 and 38400bps. The power, ground and RX pins are all broken out to a 3.5mm pitch screw terminal. 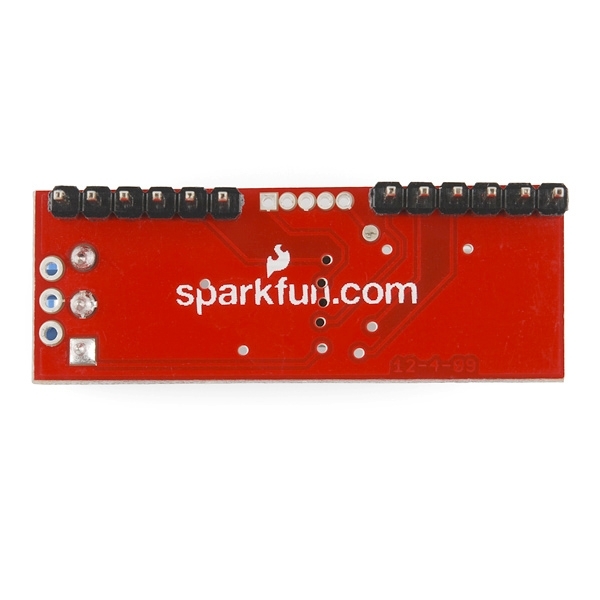 Note: The datasheet incorrectly identifies the PIC as a 16F688, when it's actually a 16LF88. Sorry for blowing your mind.